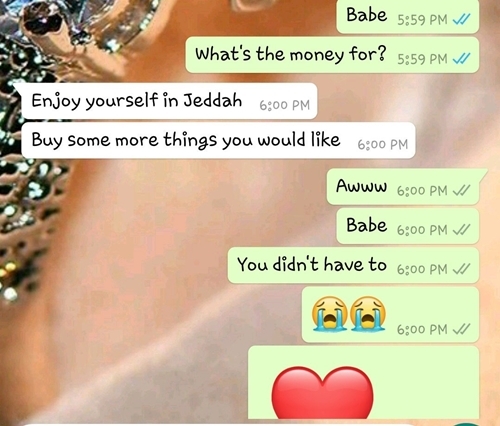 A Nigerian lady identified simply as Hazael, has taken to her Twitter page, @Hayzaelicious, to reveal how her boyfriend shocked her with a huge amount of money just because she asked for it. 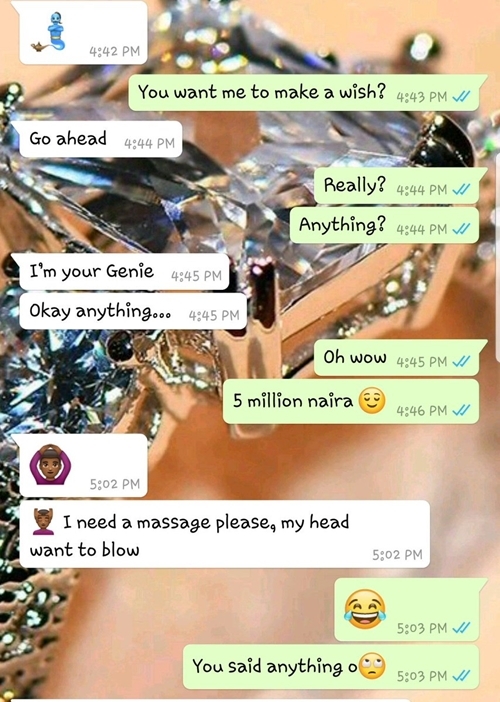 According to the post she put up on the social networking platform, her boo had asked her to make a wish and she demanded for a whooping N5 million. Although she meant it as a joke, he came through with it. "So of course the amount I asked for was a joke, then I made my real wish and got it but still got alert after. If this isn't romance i dunno what is"